Chicago Fire forward Nemanja Nikolic has announced his intention to focus on his club career from now, thereby resulting in his retirement from international football at the age of 31. The former Videoton FC striker found much success during his time at the Sóstoi stadium and after going through a naturalisation process he stepped on to the pitch for the Hungarian national team for the first time in 2013 during Sándor Egervári’s tenure as Hungary head coach. 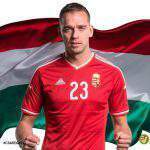 Since that time, Nikloic has played for Hungary under six different head coaches with his last appearance coming under George Leekens when he was brought on as a substitute against Scotland on 27th March. The Euro 2016 squad member played two matches in that continental tournament in France and finishes with an international record of five goals in 27 games. “It’s difficult to end any period which has been particularly important to a person; my time as an international footballer for Hungary has been definitive and memorable for my career and I’m very grateful to all those I’ve spent years with in the national team”, Nikolic told www.mlsz.hu. “I’ve never regretted anything and I would do the same now as I did then when I decided to become a Hungarian citizen because I hoped to be called up to the national team. I’ve benefited greatly from Hungarian football and I believe I’ve also given something back in return. I am proud of every match I played in and am grateful to those who believed in me, amongst whom are the fantastic Hungarian national-team supporters who have stayed with the team during difficult times. I took great strength from the supporters love and felt that they would supporters us during good and bad times and would always stand alongside me. 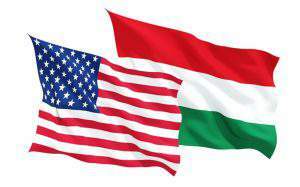 This was a difficult decision for me to make but I think that it’s a good step to take to concentrate on my club career from now on and try to successfully and respectfully represent Hungarian football abroad. 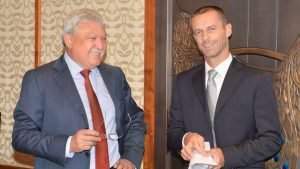 I spoke firstly with MLSZ President Sándor Csányi who thanked me and took my decision with extraordinarily good grace. 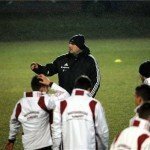 Following this, I spoke with the national-team head coach who also understood and accepted my decision”, Nikolic explained. The former top goalscorer over the course of a season in the Hungarian, Polish and American leagues added that he is on good terms with the current- and all the past national-team coaches and that no personal conflict or debate had played any part in his decision. “I’m a perfectionist and I’ve never been laid-back so naturally I know that perhaps a lot more could have come from my national career but I don’t have any bad memories or bitterness in me; it’s just that I want to expend all my energy on club football in the future and alongside that, to spend as much time as possible with my family in the USA. It’s rare for a professional football to be able to talk honestly but in this moment perhaps I can say that I would like to be a good father to my children and for this we need to spend time together”, the prolific forward concluded. 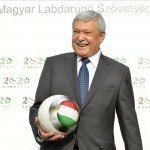 his former teammates and with the leaders of MLSZ, and that’d he wholeheartedly be cheering the national team on to successful performances as part of his intention to everything he can to help Hungarian football. PreviousWhich profiles are the most ordinary on the Hungarian Instagram? 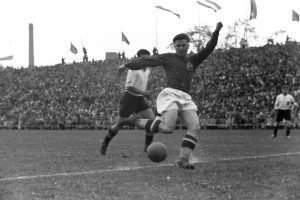 Puskás was one of the greatest European footballers of all time! – We will never forget YOU!